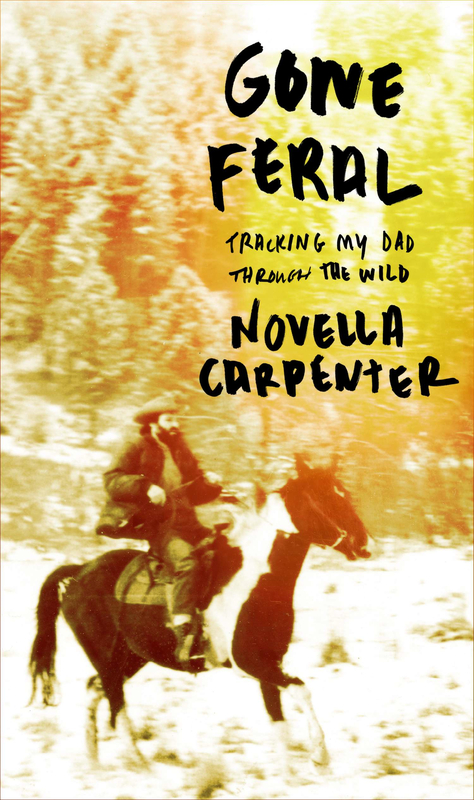 It’s been a long time coming, but my new memoir, Gone Feral: Tracking My Dad Through the Wild, will be released on June 12. The book is very personal–about my hippie parents, my feral father, and my journey to become a parent myself. “There is much to be learned here for all daughters — about acceptance, about redemption, about the distances we must go at times to find our own deepest familial truths,” wrote the author Elizabeth Gilbert about Gone Feral. Then I head to the Pacific Northwest, via roadtrip with my daughter, my sister, and her daughter! Should be epic. VERY IMPORTANT: If you can’t come to one of these events (I know, it’s wedding season), consider pre-ordering a copy of Gone Feral through Amazon or Powell’s. You can pre-order on Amazon here. Amazon chose it as one of their favorite books for the month of June! Or at Powell’s here or find your closest bookstore that sells Gone Feral thru Indiebound. See you at a local bookstore soon! This entry was posted in books, Gone Feral. Bookmark the permalink. I wrote a review of the book on Amazon a month ago. Cannot tell you what a fantastic read it was. You have a way of describing things be it overgrown yards in a rundown cabin your Dad had, to the river you were at where I almost heard it, and saw it rushing by. Or the car you guys drove and how it must have felt in wet weather, horrid heat. Have never been to the small towns in Idaho or Oregon where you went, but I could ‘see’ them so clearly in how you wrote about them. Hated for the book to end…. Hope you write another book because you left me wanting more. can’t wait to read it! I just finished Farm city recently and then read your many of your old blogs. I really enjoy your writing. Thanks for sharing your experiences! Excellent! I enjoyed ‘Farm City’ very much, and look forward to reading this book as well. Congratulations! Hey! Congratulations and Godspeed on the road! I am so excited to read this! I regularly let people know that Farm City is my favorite book out of all the farming in the city/urban homesteading books. Can’t wait to read it! (As I do with all books–due to my limited budget–I will have my library order a copy, they are so good to me, ordering pretty much everything I request). I’ll try to come to Powell’s (we’re 2 hours from Portland but that’s manageable often)! How thrilling, congratulations Novella! When is it going to hit the shelves in Canada? You are the bomb, Ms Carpenter. Are book group questions available (somewhere?) for Gone Feral?